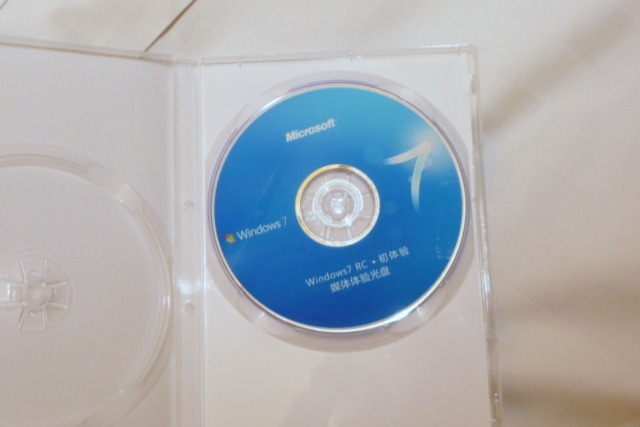 More evidence confirms Windows 7 Box art is for real! 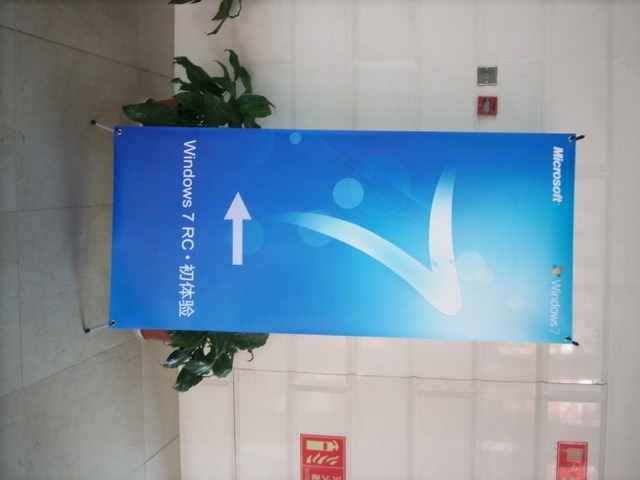 Just found these images from a Chinese site named PCBETA. 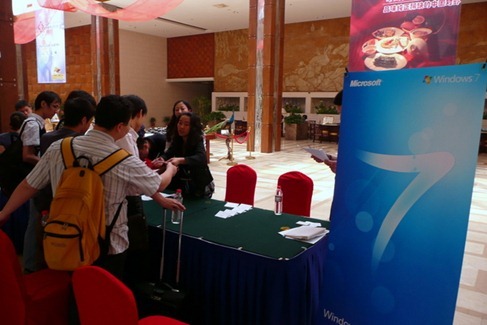 These images were taken from a Microsoft sponsored event on Windows 7 RC held in China. 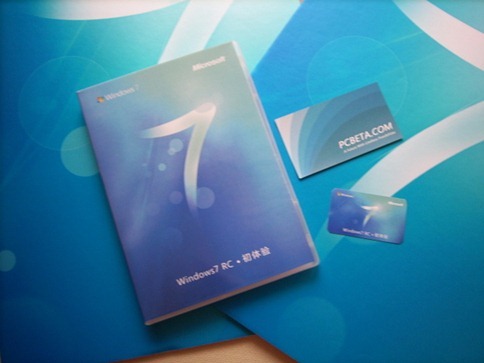 The images seen below clearly confirms yet again that the art found on leaked Boxes of Windows 7 were indeed real! 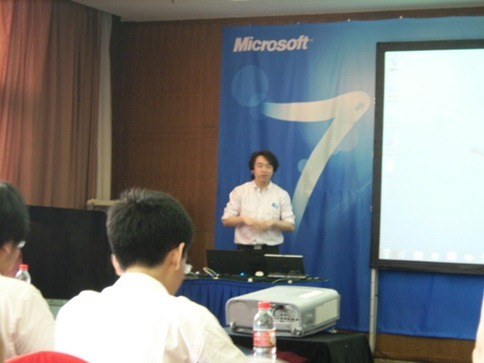 Windows 7 is indeed the final name and it has been confirmed by Microsoft. 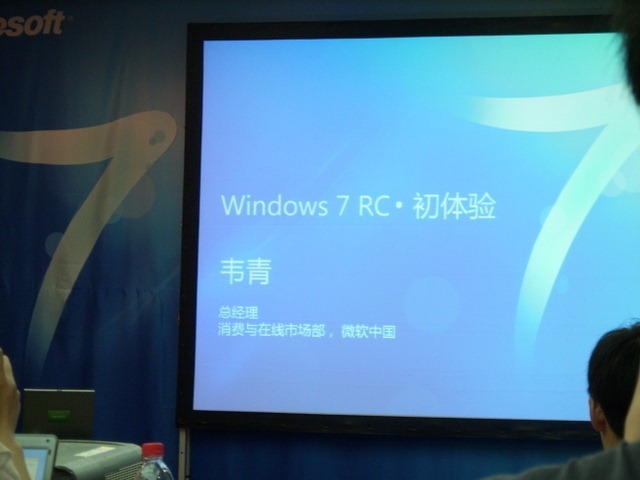 I think ‘Windows 7’ is the coolest name compared to previous releases. I can tell you, as a reliable source, that this is not the official box art for Windows 7. @Alex: hmm.. do you have any concrete proof of that? I am actually holding one of these right now – and I can say it’s real! However, it doesn’t have the official Microsoft look about it – as Alex said. I’m not familiar with the event for which this art work was created, but I can assure you that it is in no way indicative of the retail media, which has yet to be finalized. Right. 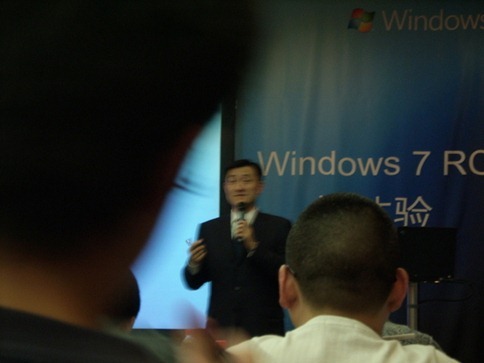 The chinese like copywrite infringement and making products look like other company products because the chinese cant produce anything for themselves with such a success rate as the U.S. I wouldn’t be so suprised to add this “event” to that list with phoney windows 7 dvd’s and such.